Would you make a good animal trainer? Take our career test to find out how you match with this and over 800 other careers. What is the workplace of an Animal Trainer like? An animal trainer is someone who will get an animal accustomed to human contact in order for it to behave in a certain way and to respond to specific commands. Training may be for protection, detection, companionship or entertainment. An animal trainer may work with service animals, family pets or show animals. Guide dog trainers train dogs to assist people with disabilities, who need extra assistance with poor eyesight, or who are blind. Some dogs are trained to help people in emergency situations, for example an epileptic seizure. They may also be trained to fetch medication, alert a caretaker, or activate an emergency call system by pushing a button. Other dogs work with law enforcement to help detect people or drugs. They may also be trained to attack and protect when necessary. Show trainers work with animals that perform in front of an audience of some sort. A horse trainer may be needed for horse shows or for racing. There is also animal training for the more adventurous type. For example, some people work in zoos or aquariums and train exotic animals. These trainers teach the animals tricks, care for them, and put on shows for zoo audiences. One of the more common animal training techniques is in obedience. Often dog owners will bring their pets in to a dog trainer to have them learn how to behave, listen to commands, walk on a leash, and to get them house-broken. These types of trainers will also educate owners on how to work with their pets after the classes are over. Animal trainers work one-on-one with animals and typically give them rewards when they do something correctly. The animal learns that when they behave a certain way, they will receive positive reinforcement and a treat, so are more likely to obey a command. Are you suited to be an animal trainer? Animal trainers have distinct personalities. They tend to be realistic individuals, which means they’re independent, stable, persistent, genuine, practical, and thrifty. They like tasks that are tactile, physical, athletic, or mechanical. Some of them are also investigative, meaning they’re intellectual, introspective, and inquisitive. Does this sound like you? Take our free career test to find out if becoming an animal trainer is right for you. 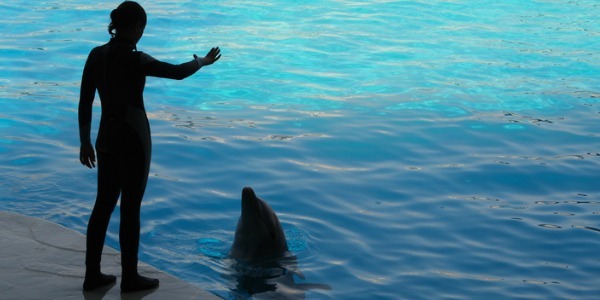 An animal trainer might work in a zoo, aquarium, circus, research facility, or a movie set. 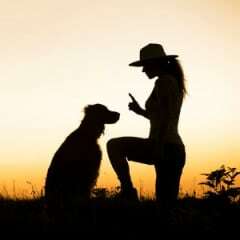 Animal trainers need to be very patient and know how to communicate and relate with the animals they work with. Animal trainers that work with marine animals need to be physically fit and be good swimmers, as well as be trained in scuba diving.